A study report published in Nature's Digital Medicine partner journal shows that the wearable monitor Fitbit Charge HR could assess the health condition of cancer patients and predict their adverse events. The research team stated, "An objective evaluation of patient performance status (PS) is difficult because patients spend the majority of their time outside of the clinic, self-report to providers, and undergo dynamic changes throughout their treatment experience; Real-time, objective activity data may allow for a more accurate assessment of PS and physical function, while reducing the subjectivity and bias associated with current assessments." 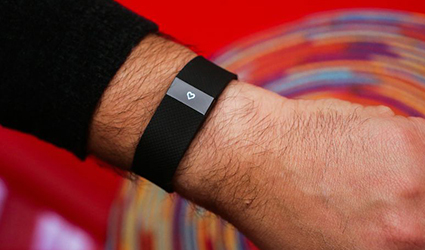 This tracker significantly aims to lower hospitalizations and increase survival rates. The step counts of patients were correlated with standard measures before arriving at a conclusion. The research team suggested that a larger, randomized trial would be the next step. The research team further stated, "While our results cannot definitively determine whether activity monitor data can replace ECOG-PS or KPS assessments, they do support their use as a supplement of current functionality tools; Not only were step counts and other activity metrics correlated with performance status, but they also provided a more detailed and continuous account of the patients’ activity levels with the additional benefit of being recorded in the patients’ free-living environments. Their use could also minimize recall biases while removing burden associated with completing multiple surveys and questionnaires in clinic."